By Melissa Lennig on May 20, 2017 2 Comments. This content contains affiliate links. As an Amazon Associate I earn from qualifying purchases. 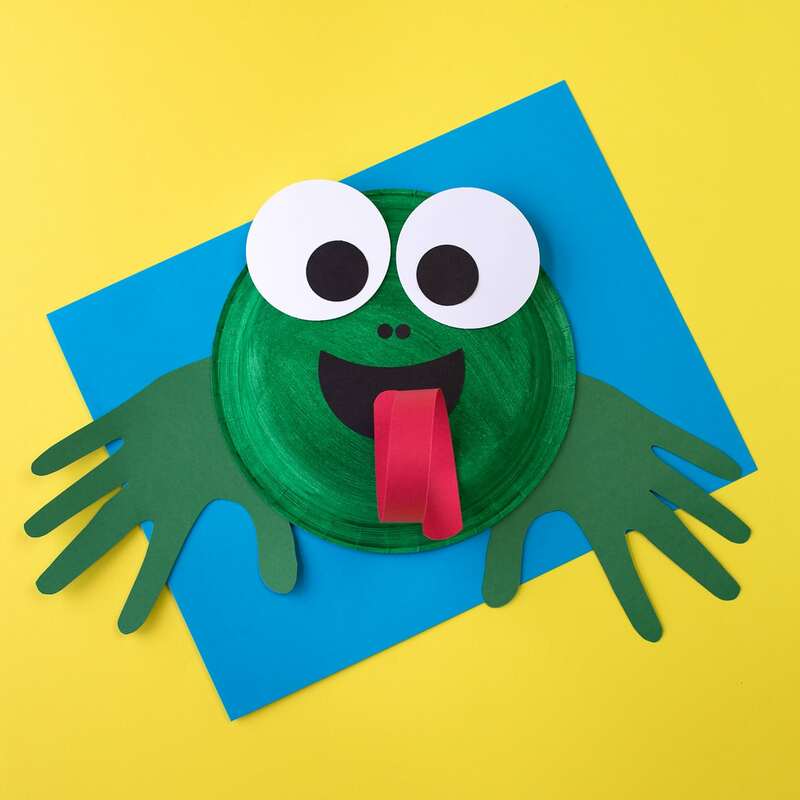 In this post, learn how to make an adorable and fun Paper Plate Frog Craft for summer. 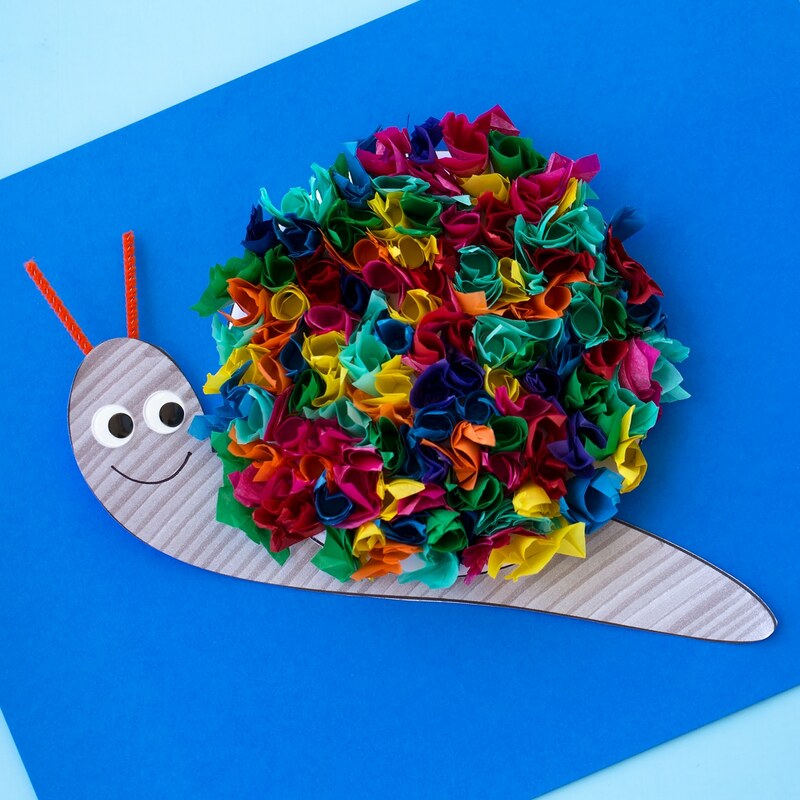 This easy frog craft is perfect for helping kids, especially preschoolers, learn all about the life cycle of frogs and toads. Something very exciting happened this week—we found tadpoles in a puddle. A puddle! So we are guessing they are actually toad-poles (or tree frog tadpoles, seeing as how there aren’t any ponds nearby). We set our critter aquarium up in the kitchen with gravel, distilled water, an aerator, and some spinach leaves, then went back to the puddle to catch some. It’s been fun watching them munch and grow as we anticipate them becoming froglets/toadlets. As we reviewed the lifecycle of a frog, we reinforced concepts through crafting. 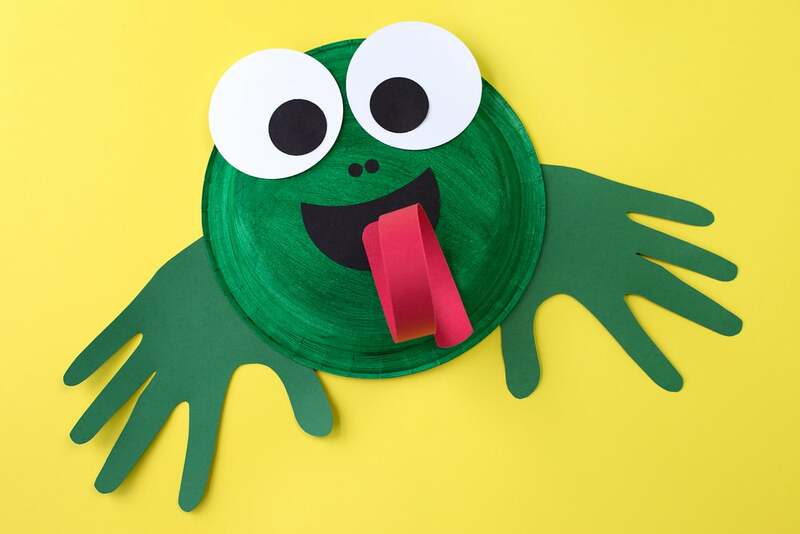 Shared below is a tutorial for an easy and fun paper plate frog craft. 1. 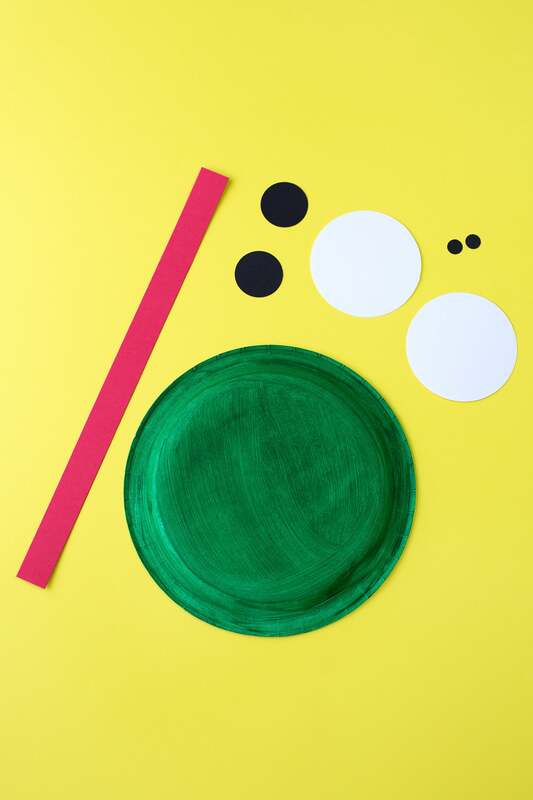 After gathering supplies, invite your child to paint the back of their paper plate green. 2. While the paint is drying, invite kids to trace the frog’s eyes and mouth using the free printable template. Trace the large circles on white paper, and the small circles and frog’s mouth on black paper. 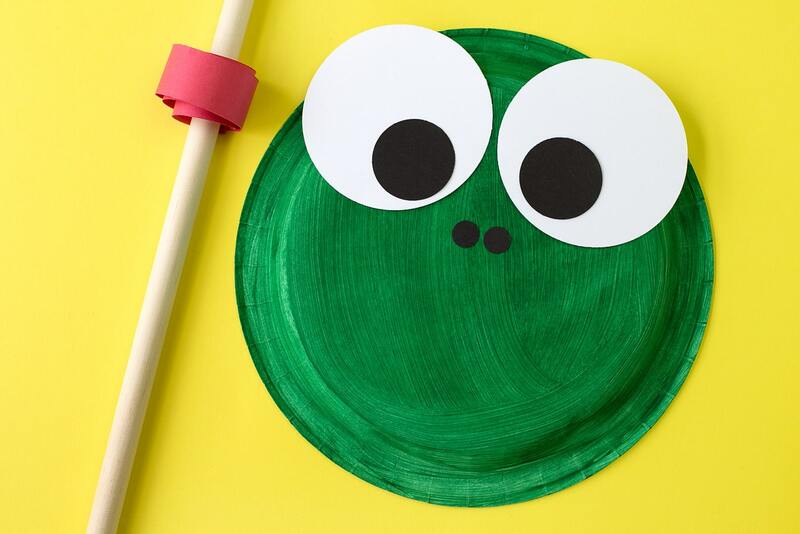 Glue the frog’s eyes and mouth to the paper plate. 3. 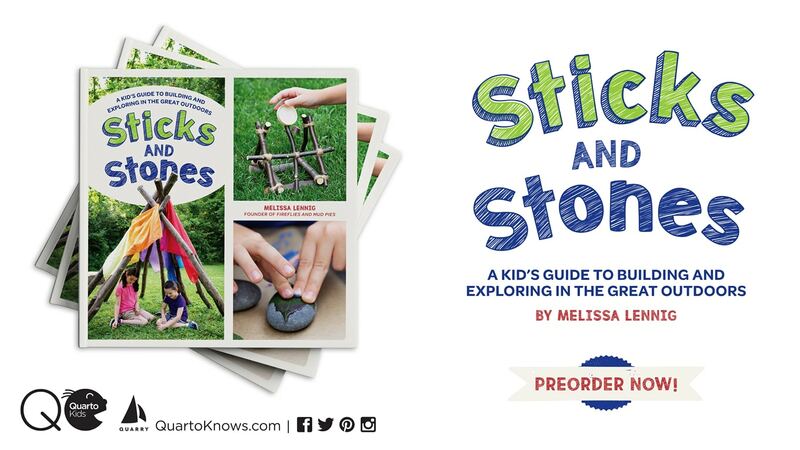 Next, trace your child’s hands on the green paper. Cut them out, then glue them to the back of the paper plate. 4. Use scissors or a paper cutter to cut a 1-inch strip of red paper, then round the edges. 5. Next, wrap the paper around a pencil, dowel rod, or straw to curl it. 6. Glue the red paper to the frog’s mouth to give the frog a tongue. 7. Last, use the black permanent marker to draw 2 round nostrils under the frog’s eyes. Isn’t it sweet? I love how the little hands look like jumping frog legs! 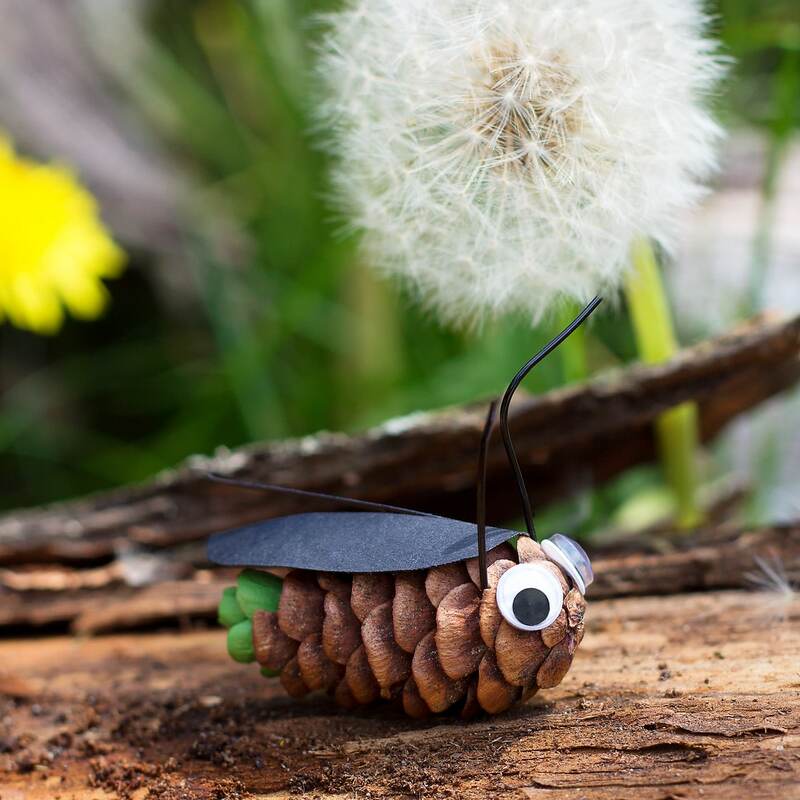 Click the images below to view more creative animal crafts, perfect for summer! 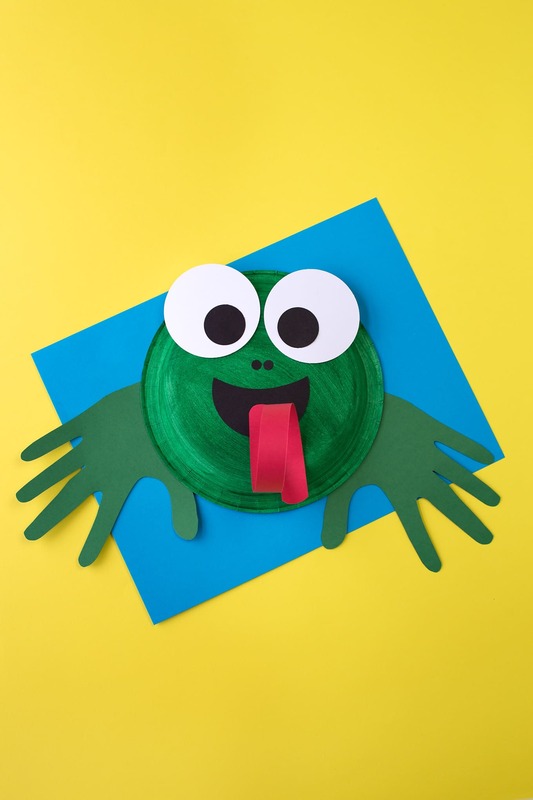 \Where is the free printable template for the frog craft? I can’t find a download. It’s in the list of supplies.